How to Avoid the Dreaded Federal Payment Levy Program | Fortress Financial Services, Inc. If you or your business has unpaid federal taxes and you receive income or revenues from the federal government or an agency of the federal government, watch out! You could be in for a rude awakening when the IRS and Treasury Department team up to keep monies that are due to you and use those monies to offset your tax liability. This is done via the Federal Payment Levy Program, a program of which very few are aware. The unaware can often be in for an extremely nasty surprise when they are expecting funds—usually relying on funds—from the federal government or a federal agency, but the funds never show up. Both businesses and individuals are at risk. In the case of businesses, those that contract with and generate accounts receivable with a federal government department or agency are subject to collection by way of offset directly from the United States Treasury. The IRS is not the only collector in the picture when you provide work for the federal government. When you work for an agency of the federal government, and you owe the IRS taxes, you have to consider that your tax debt is owed to the same source that pays you. Thus, an offset is potentially in your future. The visible collector is the IRS. They send notices, and sometimes they send an agent. You will be able to see the IRS coming. But when you work for or contract with the Federal Government, you may feel like you were silently ambushed when all of a sudden you don’t get paid. The federal agency you were working for gets its money from the Treasury, and the Treasury can simply take the payments you are supposed to receive in order to offset the debt you have with the Treasury. The Treasury uses its system called the “Federal Payment Levy Program” to levy on contractors or payees that owe the government taxes. Therefore, if your business works for or contracts with a federal agency or department, it is extra critical that you resolve your tax debt as soon as possible before the Treasury steps in to intercept your payments. Individuals who receive payments, including social security, from the federal government do receive a warning from the IRS before a Treasury offset with a final notice of intent to levy letter CP297 or CP90. Individuals have 30 days to appeal before the treasury starts to levy their payments. However, a business contractor with the federal government, does NOT have to receive a final notice and does not have 30 days with which to appeal until after the levy is issued. Individual levies on Social Security are limited to 15% of your check. Not so for businesses. Businesses with federal accounts receivable can expect 100% of their payment to be taken. If you would like to review the IRS’s outline of the Federal Payment Levy Program on the IRS’s webpage, click here. Since the IRS has primary responsibility for collecting the Treasury’s taxes, it has a code in its system which can “block” the Treasury from taking your checks. The Revenue Officer or agent handling your case has discretion to input this code and stop the treasury from taking your funds. A Revenue Officer that is collecting on your case usually knows that you have a contract with a federal agency or are receiving social security and that there is potential for the Treasury to step in and start levying those payments. The IRS does not automatically block the Treasury levies until your case is pending an Installment Agreement or is fully resolved with a formal Installment Agreement or other formalized tax resolution plan, such as an Offer in Compromise. 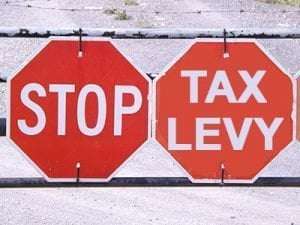 Otherwise, you have to request the block on treasury levies and if you are not paying your current taxes, you will find the Revenue Officer reluctant to block the levy until you are current with your taxes. A Federal Payment Levy cannot be reversed or released as is possible when it comes directly from the IRS. The best you can do is to stop future levies by making sure the Revenue Officer assigned to your case blocks them. This is why it is so important to seek a quick resolution to your tax bill if you are government contractor. To recap, individuals who have received their final notices (CP90 or CP297) and have exhausted their appeal rights, and for whom there is no resolution or block against levies, are at risk of the Treasury taking their federal sourced payments without further warning. Businesses that receive federal or Treasury sourced funds DO NOT have to receive their final notice before being levied by the Treasury. So, whether you are an individual or a business, if you have a debt to the IRS and you receive funds from a federal agency, it is best to get a resolution quickly to protect your revenue sources. Once a resolution in the form of a payment arrangement (or other formalized tax resolution plan) is established, and you are out of collections, the block on Treasury levies is input and you don’t have to worry about it anymore. But, if you default your Installment Agreement, the block is automatically removed and you are once again open to levies by both the IRS and Treasury. An attorney can file a Power of Attorney and talk directly to the IRS on behalf of taxpayers to resolve your case. However, an IRS Power of Attorney is only valid to discuss your debt with the IRS. It does not authorize that attorney to discuss it with anyone at the Treasury. I have tried with no success to call the Treasury at times when my clients have been levied by the offset and there is not a soul to take a call, much less reverse the levy. The IRS on the other hand can be reached to negotiate a levy release and resolution. As noted above, you can use the IRS to stop future Treasury levies, but there is nothing you can do about the one that already happened. Those monies have been intercepted and effectively returned to the Treasury to pay your tax debt, and will not be returned. You simply have to focus on getting a resolution with the IRS so that future levies by the Treasury are blocked. A company’s receivables are its lifeblood. When the Treasury takes your federal receivables, the business’s life can often be at risk. The levies have to be stopped immediately through the proper IRS procedures. Sometimes, a Revenue Officer will not be willing to block the levies unless a resolution is made. In that case, you have to negotiate the conditions that the Revenue Officer sets towards a resolution. But how do you focus on the IRS’s demands while the Treasury is taking your receivables? It can be extremely difficult for a business owner, concerned with meeting payroll and all of the other demands of running a business, to negotiate a deal with an IRS agent who can sometimes be unreasonable, capricious or downright belligerent. An experienced attorney can step in and take over your case with the IRS so that you can stay focused on the business at hand. "name": "Rob Williams, Cashiers, NC"